That's right folks. 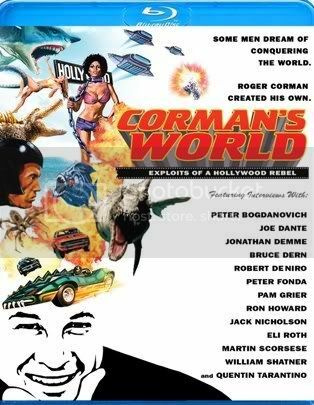 Starmummy here from B Movies and Beyond has a copy of Anchor Bay's brand new Corman's World documentary (just released today!) on Blu Ray to give away to one lucky reader. All you have to do is comment on this post telling me what your favorite Roger Corman film is and why. Winner will be announced one week from today.